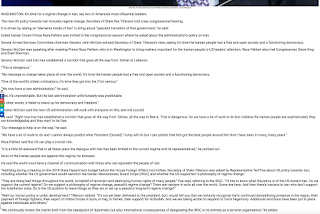 Whenever someone states they want democracy it is a code to invite a foreign invasion, and this has occurred every time in Iranian history whenever the demand for democracy was met, as the anglo-russian partition during the Qajar era, stalinist incursions into Iran in support of their tudeh puppets, and the guadeloupe backing of khomeinei demonstrated. It should be clearly noted that honky pig mccain has repeatedly called for Iran to be bombed, and tillerson wants to exploit Iran's Oil resources for his own personal profit. Most disturbing is the fact that reza pahlavi is acting in lockstep with rajavi's pmo/mek/ncr islamic fundamentalists who practice a form of islam more radical than that practiced by jomhori mollah. 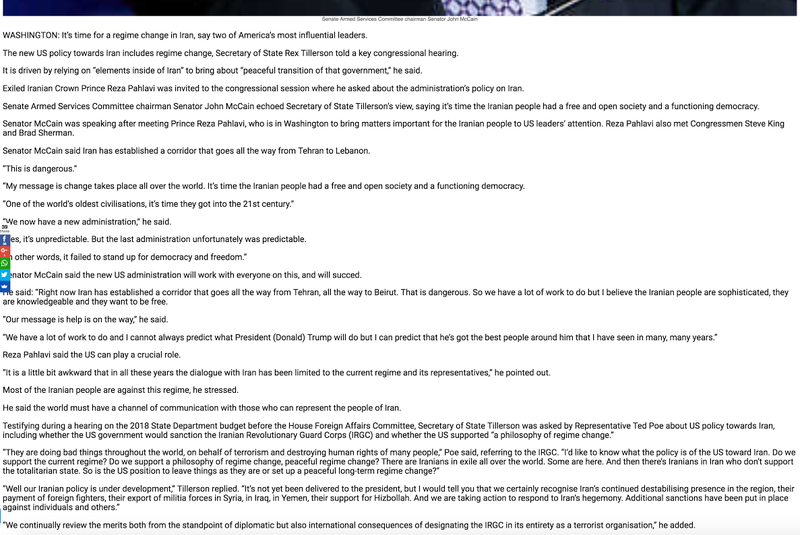 Those people reza pahlavi claims will bring change to Iran will only cause an instability which will leave Iran paralyzed for an invasion and destroy those capable of removing jomhori mollah while maintaining the integrity of Iran. Apparently reza pahlavi ignores this and this action demonstrates he and his associates must be eliminated if Iran is to be strong and free. The outcome of the recent Iranian presidential election screams american backed interference, yet the fuzel bacheha who fell for it and helped rouhani get reelected do not want you to know this, mainly as they know that rouhani backs their fuzel lifestyle which his elitist american and zionist backers want as it would mean it would be easier for them to menace and invade Iran. 1. The followers of rajavi are marginalized malcontents who do not care for the welfare of Iran and will do whatever those who pay their bills demand of them. 2. That reza pahlavi is no longer the leader of Soltani Talab. 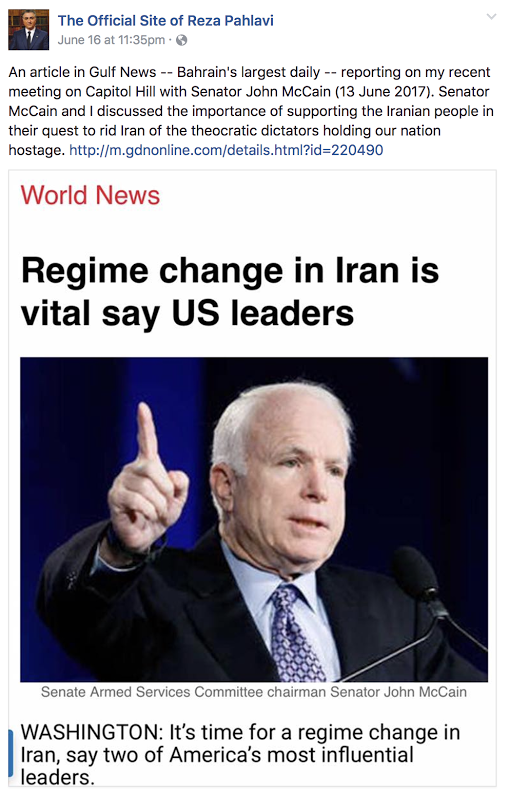 The latter is important, as now the Gilanshahi have stepped into the leadership role of Soltani Talab who would fill any power vacuum, however reza pahlavi and his associates, including Arab monarchs who accept american assistance, continue to prop him up, and many are stupid enough to follow him. One reason for this stupidity is interference by trump in Iranian-Arab matters, as his recent actions show. That trump timed his visit to saudi Arabia for a Muslim summit which Iran, and some of it’s close allies with Muslim populations greater than america like Russia, India, and Germany were excluded, when votes in the Iranian presidential election were being counted should be more than enough to demonstrate american interference, as the timing was meant to intimidate those in Iran into giving america a favorable election result. The two things he did next more than demonstrate american/zionist interference conclusively. The first was to found with the saudis the global center for combating extremist ideology, which in effect is an act to stifle dissent by claiming opponents are extremists when in fact trump and his saudi backers promote the very extremist ideology they claim they combat, while signing a major arms deal with the saudis. The arms deal is important as the saudis lack an industrial base for their military, meaning they would lose any protracted war, and with Iran, Turkey, and israel stepping up their military/industrial capabilities, and france helping egypt and the emirates develop theirs, meaning some conflict appears to be imminent. The second thing was trump’s visit to israel to meet with netanyahyu immediately after his presence at the riyadh summit, incensing many Arab and Muslims trump had just met with along with the rest of the World community because of israel’s treatment of Palestinians, but also incensing Iran, as israel coerced the nuclear deal which rouhani wanted and which impedes Iran’s ability to defend itself and has forced Iran’s military to take extreme measures to prepare for an invasion. 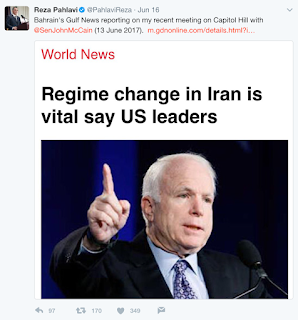 It should be noted that one factor contributing to the removal of mike Flynn as national security advisor was Iran’s military confronting him prominently at his home, which was a factor in bob harwood not seeking the position offered him, as his fellow Navy SEAL’s fought alongside Iranian Soltani Talab, who continue to be the dominating presence in the Iranian military. Overall, all sides, including those manipulating Iran’s presidential election, got half of what they want. The manipulators, namely america, israel, and their close allies got rouhani and his cronies elected, but they face a country and community that hates them. The opposition who seeks a better Iran got an Iran prepared for conflict, but unsure how that conflict will turn out. Overall, the outcome of Iran’s presidential election has left all sides wary of an inevitable fight.